I’m still recovering. Still twitching. Still flinching from the imaginary shouts, screams, and high pitched voices in my head. I feel that my hands are sticky, but they’re not. I feel a hand tugging on my skirt, but no one’s there. It’ s real. It’s over. It’s post traumatic stress syndrome. It was Vacation Bible School week. If you don’t know, VBS is a week, Monday through Friday, where kids come to church and we have games, crafts, snacks, and bible lessons. 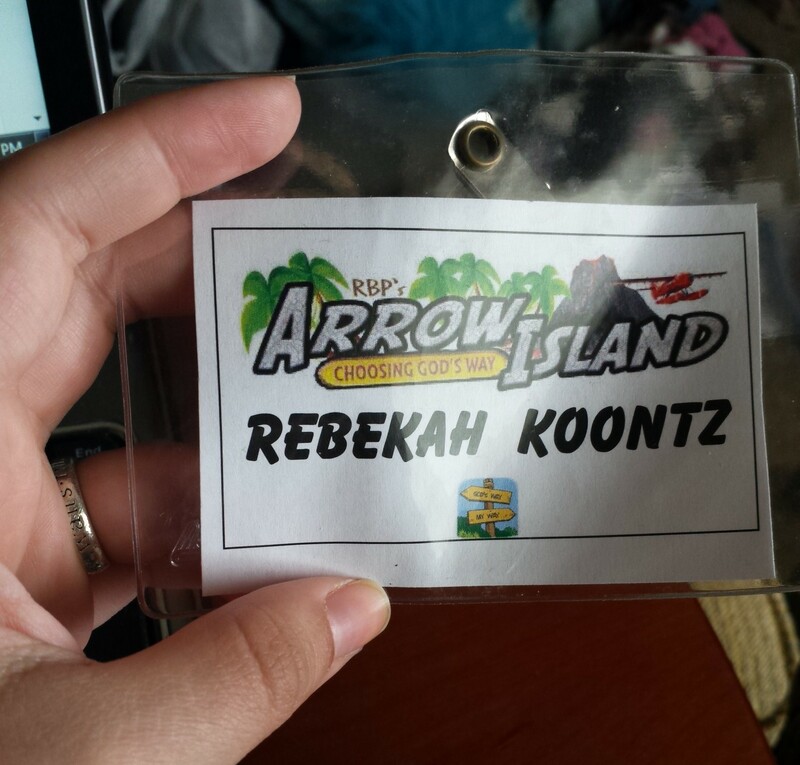 I went to VBS when I was a kid. I’m pretty sure I didn’t miss a year. And now that I’m an adult, I still don’t miss a year. Because it is a whole week, I had to talk to my manager at work to see if I could get the evenings off. I didn’t want (or need) a whole week off of work. She did her best, and I’m very thankful. Lately, I’ve been working around three or four days a week. VBS week, she had me scheduled to work Tuesday through Saturday. *disguises her twitch* Wasn’t that nice? My week consisted of going to work, showering, grabbing a skirt, going to church, going to bed, and starting all over the next day. And the next day. And the next day. I let my body sleep in this morning and it doesn’t know how to react. Well for VBS, I was assigned as a Pre-School helper. I couldn’t commit to being a teacher because of the uncertainty of work, which is what I told them. So they gave me a helper position instead. Four year olds… are different. Three year olds are another level. We had both. Because my teacher was fearless! She’s around six feet, I believe. So it was the cutest thing, seeing all the kids hurry behind her like fidgety bunnies as she walked from class to class. Towards the middle of the week, we had them line up and made it a game who could be the most quiet. They would all freeze every time she’d whip around and shoot them a look to make sure they were in line. We had good kids, though. Mostly girls, our glass had two boys three boys toward the end, when we adopted a three year old who was sitting, bored, in the nursery with all the babies. One kid sits in a chair, facing away, with the “bone” behind the chair. The kids sit in a semi circle behind it. The teacher chooses a kid to take the bone and hide it behind their back (or in our case it was a handkerchief, so we had them sit on it), then they chant “Doggy doggy, where’s your bone? Somebody took it from your home. Guess who!” The “Doggy” then turns around and guesses who took the bone. The three year old, however, didn’t understand that he wasn’t allowed to tell the Doggy where the bone was. “He did,” the little boy answered, innocently pointing. The boy would only point more urgently, raising his little eyebrows at her, and us teachers couldn’t help dissolving into giggles. I’m being dramatic, but it was a great VBS. I was a little out of my comfort zone with an age so young, but I managed. And they are adorable. From a little curly-head girl with so much sass at three years old, she already talks with her hands, shrugs, and makes expressions when she’s trying so patiently to make a point to another child. To the seven chocolate grins we had, the night of pizza and fudgesicles. The other helper in our class brought chocolate chip cookies for the kids one night, and I saw her smile for the first time when she was handed her individual bag of cookies. She spent the rest of that night looking content and keeping her nose close to the bag, breathing in it’s goodness. By the last day, she was grinning and fidgeting and walking with her head up and being silly, shaking her braids so the barrettes would clink. She also started eating during snack time. She wouldn’t so much as touch the punch her first day. Then she sipped it and would look so in awe and happy when a snack lady would come along and fill it again after asking if she wanted more. By Thursday, she was eating. And Friday, she asked me if the Fudgsicles had peanuts in them. Things clicked in my mind. That little girl had to be my blessing of the week. It’s so sad to have a child that miserable, not wanting to touch a crayon, or eat, or even raise her head as she walked. And to see her change into screaming in the gym when we were rooting for our team “The Pineapples,” and talking and smiling with the other kids. It was great. So good job, everyone who worked VBS! I’d say it was a success! And now we can all recuperate until next year.